It's a shame that the conversion from the old system is being so poorly managed. A lot of old clip art has been lost and there doesn't appear to be a rational plan to recover it. The article "a" modifies the noun "clip art", not the adjective "usable". So your title should be "Finally, a usable open clip art library." 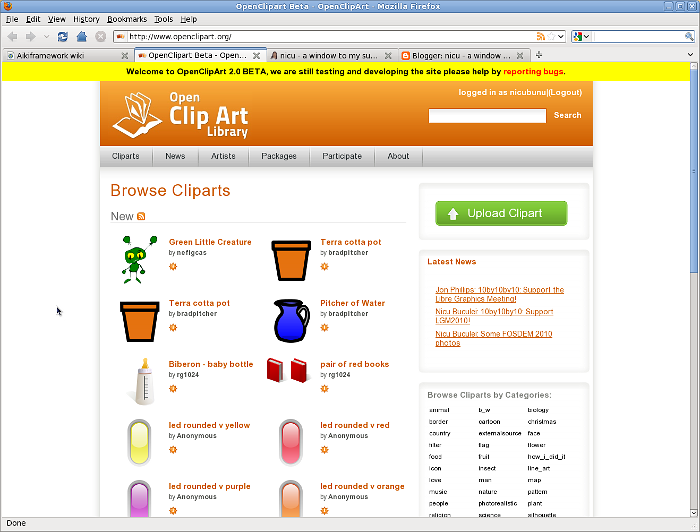 In the old clipart library I could combine several tags to search for clip art. I haven't understood how this works with the new version. If it no longer worked it would be a GREAT regression in usability.